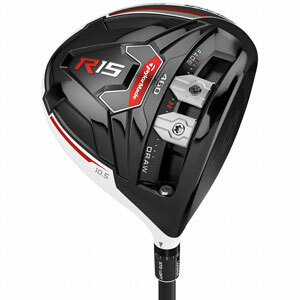 The latest in the legendary ‘R’ lineup, the R15 brings all of the high-tech features and great looks that you would expect from a TaylorMade driver. The company that has been at the front of so many developments in the golf club industry over the years continues in that tradition with the R15. The changes in golf club technology in recent years are nothing short of incredible, and the R15 represents many of the best features that have been developed during that revolution. While the R15 does bring one new, notable piece of technology to the table, there are also all of the features that modern golfers have come to take for granted. 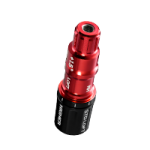 That includes the ability to swap shafts out with just a simple tool and a few clicks, a loft sleeve providing up to a four degree range, and a low center of gravity that will help you launch it high with low spin. If you are looking for a driver with all of the latest bells and whistles, look no farther. TaylorMade is the company that made moveable weights popular within drivers when they first introduced the ability to swap weights around from heel to toe to chance the feel and performance of your clubs. 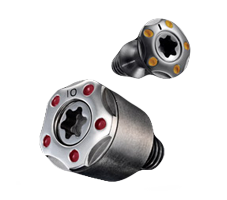 Now, in the R15, they have a split-weight system on the bottom of the club which allows you to slide the two weights into different positions to find just the right combination for you. For example, a player who struggles with a hook could slide both weights out onto the toe in order to slow it down and hopefully prevent that hook. A player looking for more stability through impact could simply split the weights – one on the toe and one on the heel – to help steady the club through the hitting zone. This kind of customization is what TaylorMade has become known for, and it helps you to get the best possible performance from your driver. Picking a new TaylorMade driver such as the R15 is among the safest bets you can make in golf. You will be going with one of the most-trusted names in the business, and with a company that has a specific reputation for turning out high-quality drivers that are trusted by some of the best players in the world. If you think the R15 might be the right choice for your bag, try one out at your local golf shop and see for yourself how it performs. When you think of TaylorMade golf clubs, you might think of drivers first – and that isn’t too much of a surprise. TaylorMade has dominated the driver market in recent years, thanks largely to their moveable weight technology and the great variety of clubs that they have put onto the market. 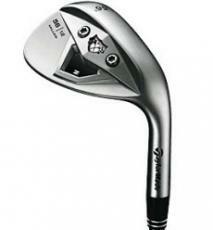 With that said, they still produce some high quality irons that deserve consideration as well. If you are in the market for a well-rounded set of clubs that can work for a wide range of players, the new SpeedBlade irons are worth a closer look. TaylorMade claims that these irons have the fastest face of any that they have ever produced. That can mean great things for the average golfer, as getting enough distance on mid and long iron shots is frequently a challenge. While irons are usually more focused on accuracy than distance, both components are important if you are going to take your game to a new level. In addition to offering more speed off the face, these irons are impressive because of the forgiveness that they offer across a large area of the clubface. For clubs that look more like blades than game improvement irons, you might be pleasantly surprised at the forgiveness that you find. One problem that many golfers run into is finding the right combination between power in the long and mid irons, and control with the short irons. While you probably want to maximize how far you can hit a four or five iron, you are going to be less concerned with distance when hitting a nine iron or pitching wedge. With those short clubs, distance control and accuracy are paramount. For that reason, TaylorMade has left the ‘Speed Pocket’ out of the 8-PW in order to keep the distance under control. Instead of launching your pitching wedge too high and too far on a regular basis, you should be able to keep it under control and get the ball closer to your target – which is the goal in the first place. Having to choose between a set of game improvement irons, and a set of blades, might be a thing of the past. This set of SpeedBlade irons from TaylorMade offers many of the best qualities from both worlds to allow you step up your game no matter what kind of player you are. Of course, you always want to hit any set of irons for yourself before deciding if they are right for you, but there is a good chance you will find the SpeedBlade set to your liking. With a background as rock-solid as that which comes with TaylorMade clubs, the only thing left to do is try them for yourself. While Taylormade may best be known for producing great driver lines over the past few years along with Tour performance golf balls that stack up well against the Pro V and Callaway Hex Tours, what really doesn’t get enough attention these days is their line of hybrids currently out on the market, especially the new Taylormade Rocketballz Stage 2 Rescue Club. 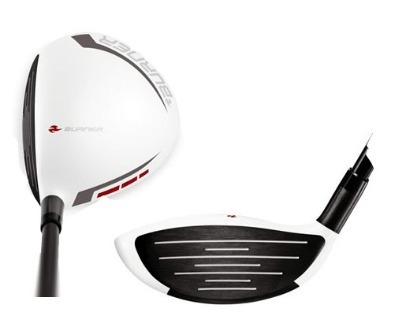 The Taylormade Rocketballz Stage 2 Rescue Club features the trademark white matte crown finish with a black clubface that is similar to all of their new driver lines, and the rescue club also features four distinct technologies. The first is a thinner, faster flexing clubface (known as Taylormade RocketSteel supplied by Carpenter) to create more ball speed and distance. 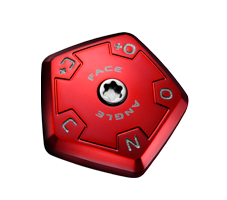 The second is an improved speed pocket located in the sole of the club for even more increased ball speed. The third technology is a shallower face and lower head profile than their stage 1 model to create added playability. Lastly, the rescue club also features a lower and more forward center of gravity for higher launch and lower spin. With that said, is all of the technology that was put into the club well worth it? For starters, the Taylormade Rocketballz Stage 2 Rescue Club really provides amazing distance whether off the tee, in the fairway, or even a bad lie as well. 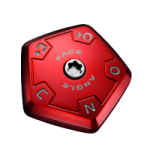 The golf ball just seems to shoot off of the club face on every shot, and the combination of the speed pocket and thinner face really helps to promote the greater distance. It is arguably the longest hybrid out on the market today, and those who are looking for added distance when it comes to this area of their games should certainly demo this club a few times. Another great feature that the rescue club offered when playing a few rounds with it is the high launch that it offers. Many golfers switch to hybrids because of the difficulty of getting high irons to land softly on the greens and get a higher trajectory on approach shots, and the Taylormade Rocketballz Stage 2 Rescue Club provides a great answer to this problem. Lastly, the playability of the club is above average, and really allows golfers to shape the ball any way they please, which makes it a true “rescue” club more than anything else. The only real negative when it comes to the Taylormade Rocketballz Stage 2 Rescue Club is the forgiveness that it offers. That is not to say that it offers below average forgiveness, but that there are other models out there such as the Adams Super S and Callaway X Hot that provide much greater forgiveness than this model. One can still get decent distance out of shots that are not hit on the sweet spot of the club along with good accuracy though. Overall the Taylormade Rocketballz Stage 2 Rescue Club is one of the better hybrids out on the market today, providing players with great distance along with above average launch and playability whether off the tee or on approach. 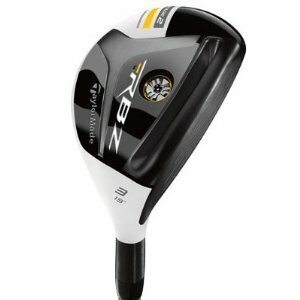 It may not have as great of forgiveness as other models on the market today, but if one is willing to overlook this they will find the Taylormade Rocketballz Stage 2 Rescue Club to be much to their liking. 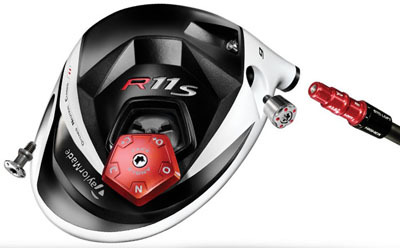 Is the Taylormade R11S worth all of the hype that it has been getting recently? Practically every PGA Tour event that is shown on television features either this or the Rocketballz fairway wood, so Taylormade must be doing something right in order to have so much commercial time, right? In those commercials for the R11S driver there are numerous PGA Tour professionals that supposedly have gained ten yards or more by switching to the club, and supposedly amateur golfers can get just as much if not more distance by using it as well. I tried out the club for a few rounds a couple of weeks ago, and what follows is my overall review of it. The Taylormade R11S driver has a large 460cc clubhead that is white on top to make it look bigger, thus giving increased confidence for golfers. What makes the club stand out from the rest though is the three different adjustments one can make to it; these include a loft adjustment up to 1.5 degrees, movable weights that can be put on the heel or toe to make the ball go left or right, and a face angle adjustment up to 3 degrees. To be honest, I didn’t think there would be much of a difference when changing some things around, but boy was I surprised when hitting it out on the range for the first time. I estimated about a 30 yard difference of going from one end to the other with all three adjustments, so if anyone has a hook or a slice and is looking to minimize it as much as possible this is certainly the club to do it. The white clubhead certainly inspires confidence when getting ready to tee off, and I would say a fair bit more than a regular black clubhead would. Aside from all of the adjustments and appearance, this is a really good driver that provides a great amount of distance off the tee. I play a Taylormade Burner with a draw bias to it, and with the R11S I was averaging about 15 yards by it so there was a significant difference between the two. There are only two minor negatives associated with the Taylormade R11S driver. The first is that it will take a while to figure out what combination of adjustments to use to get maximum distance off the tee, and it can be a bit frustrating trying to do it on your own. More likely than not you will have to go to a golf retail store in order to do all of the adjustments. Another negative comes in regards to the price, at about $400. I know that is what new drivers normally go for nowadays, but for someone who does not have an open wallet to buy golf clubs it can be a bit much. 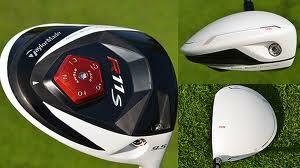 Overall the Taylormade R11S is a great golf driver that certainly lives up to expectations. 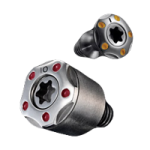 Not only does it inspire confidence on the tee box, but can also fix practically any consistent mishit, whether to the right or to the left. I would recommend waiting a bit for the price of it to go down, or even getting one slightly used as it is pretty expensive right now. Make sure to get all of the adjustments done when you buy it at the golf store so that you won’t have to constantly go back to make adjustments. Take a look at some great deals on new and used Tayolor Made R11S golf drivers. 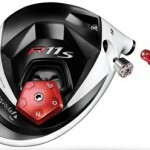 Taylor Made Golf has release details on their new driver, the R11S. The new R11S is larger, quicker, more adjustable and longer than the original R11 driver. 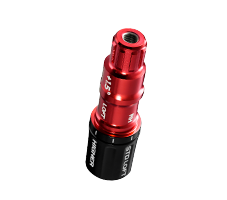 The 460cc white finished head is powered by a new 5-sided ASP plate, new 1.5º FCT sleeve and movable weights. With 3D Tuning, you can independently tune loft, face angle and flight path your swing. 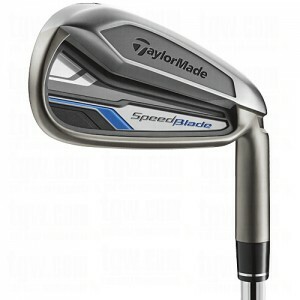 Taylormade Golf Company has come out with a new brand of golf clubs that really have a striking appearance to them. The Taylormade Burner Superfast 2.0 fairway woods are a part of this new trend, in which the clubhead is white while the clubface itself is black. It is truly a unique blend of colors that match well together. As far as other specifications, the fairway woods are comprised of very lightweight clubheads that are designed to increase swing speed, along with the Winn Lite grip and Matrix XCon shaft that come stock with the club. The Superfast fairway woods are also designed for greater carry, with the clubface having a low center of gravity. With that said here is my overall review of the Taylormade Burner Superfast 2.0 fairway woods. The first positive that I noticed came on the first tee box, where the ball just jumped off of the clubface. I don’t know what it is about all the new technology these days, but I like it more and more as my distance goes down with age. It was not just the tee shots either, but practically every shot that was hit felt solid. I even tried putting a golf ball in an old divot and the ball still shot out straight and true. This goes into my next positive, in that the Taylormade Burner Superfast 2.0 fairway woods are extremely forgiving. It did not matter if I hit it off of the toe or the heel, the golf clubs still performed well above expectations. The third positive that I found with these fairway woods is that it is easy to work the ball either way, more so off the tee than in the fairway. If there was a hole that required a draw for instance, I could simply use my draw swing and the club would do the rest for me. It is truly effortless swinging these golf clubs, and a lot of that is due in part to the lightweight features I mentioned earlier. Lastly, the fairway woods are extremely durable and could probably last for years and years. After a few long sessions on the driving range I thought the clubs might have lost their distance but they certainly proved me wrong out on the golf course time and time again. It was truly difficult trying to find any sort of negatives with the Taylormade Burner Superfast 2.0 fairway woods, but if I had to be nitpicky I would have to go with its performance out of the rough. When it came to fairway bunkers the clubs would work perfectly and get the ball straight up in the air upon impact, but it just didn’t feel the same when hitting them out of the rough (and especially deep rough). I just could not get solid contact between the club and ball at all in the rough, and maybe this is due in part to the clubs being so lightweight. Regardless, this was the only real negative that I could find when it came to these fairway woods. The Taylormade Burner Superfast 2.0 fairway woods are a great step in the right direction for Taylormade Golf Company. If you have been with them for their drivers, you should definitely try out their fairway woods, as they are as good as, if not better than, many other competitiors out on the market today. These fairway woods are that good. Take a look at some more great deals on new and used Taylormade Burner Superfast 2.0 Fairway Woods.